Reem Fadda is an independent curator, based in Ramallah. Fadda is a key figure in the international art scene, and has been involved in many international exhibitions, including Liminal Spaces: a four year artistic and political project consisting of conferences, tours, arts residencies, and exhibitions in Palestine, Israel and Germany. In 2017 she won the Walter Hopps Award for Curatorial Achievement because of her “impressive record of organising groundbreaking programmes both inside and outside of conventional museums”. 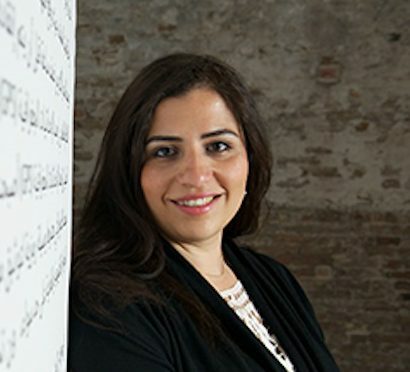 Previously she has worked at the Guggenheim as an Associate Curator Middle Eastern Art, and as the Director of the Palestinian Association for Contemporary Art.